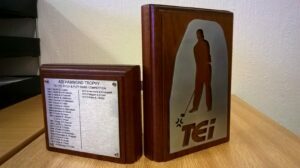 This year’s annual TEi Pairs Pitch & Putt competition took place on Sept 7th. The competition has been run since 1982 and the original trophy – which was getting a bit tatty, was replaced and re-named the “Adi Hammond Trophy” in memory of our sadly missed colleague who won the competition in 2013. It was good to see a good number of TEi Retirees in attendance. The competition was won by Gordon England and Gary Dye, with Stuart Dalby and Sandra Maguire in 2nd place, Jim Harling and Gordon Longstaff in 3rd and the Booby Prize for worst score went to Pete Mills & Galileo Gonzales. 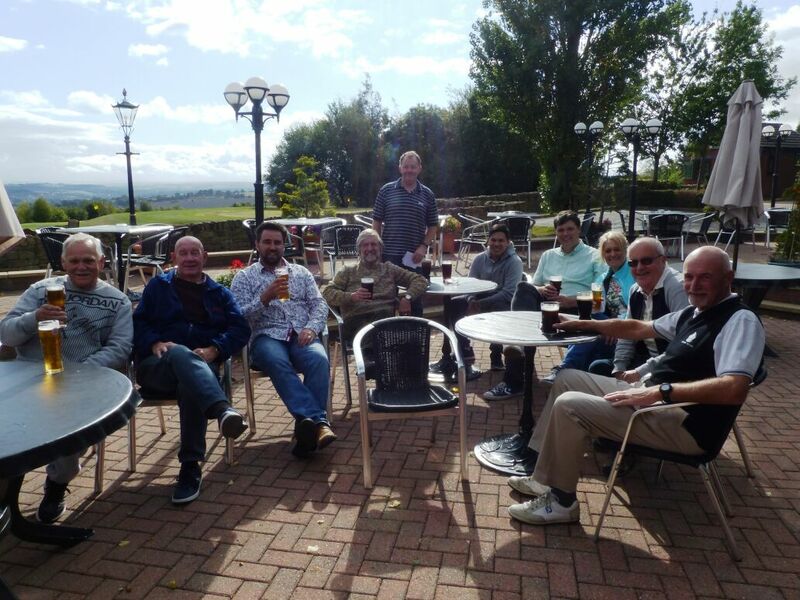 The weather held off as can be seen from the view at the 19th Hole and everyone said they had enjoyed the event.